From the rise of China, expanded Russian aggression with the invasion and occupation of Ukraine and meddling in the 2016 U.S. election, to the testing of our international institutions like NATO and the European Union, America needs swift diplomacy that adapts to the growing chorus of challenges we face. To leverage opportunities and stem conventional and unconventional threats, the United States must renew confidence in our leadership, diplomacy and values abroad. At the core of this effort is a strengthened Foreign Service that maintains American engagement with our allies and promotes diplomacy and development in all corners of the world. But during the last year and a half, we have seen flagging commitment to this important and strategic goal. The Trump administration attempted to cut our diplomacy and development agencies by nearly one-third, but Congress pushed back on that. Congress must restore our commitment to advancing American leadership abroad and equipping our diplomacy with the tools needed to best serve our interests. If we don’t, our Foreign Service officers—and our nation—will fall short in ensuring the prosperity and security of American ideals around the world. Since January 2017, the Trump administration has steadily attacked America’s diplomacy and development corps at the State Department and USAID. The hiring freeze, failure to appoint diplomats to critical positions, pushing senior diplomats out the door, alleged vetting of employees for loyalty to the president’s foreign policy agenda, consideration of offering $25,000 buyouts to seasoned professionals (until Congress objected) and a mismanaged “redesign” led by then-Secretary of State Rex Tillerson caused long-lasting damage to the nation’s diplomatic abilities. The mass exodus of high-level employees crystalizes the current morale of the State Department, and this damage occurred at precisely the time we needed the expertise of our diplomats to address growing challenges. These cuts took place as North Korean missile tests flew over Japan, a country we are committed to defend by treaty; as the United States was called to mediate a dispute between Qatar and its Arab neighbors; as Beijing continued its assault on a rules-based order by expanding its presence in the South China Sea; and as a newly sworn-in president needed to articulate a professional, welldesigned foreign policy that maintained America’s voice on the world stage. We saw bipartisan pushback from Congress against the administration’s deep cuts to the State Department’s budget and workforce, and a mandate to restart A-100 classes and bring Foreign Service officers on board. We are now in the process of rebuilding this venerable American institution, which will require greater investment in core diplomatic capability, in our Foreign Service. If the administration and Secretary Mike Pompeo refuse to do so, Congress has a moral obligation to step in. These are our frontline civilians, and Congress must have the foresight to give them tools for success. If we don’t, we risk sending our sons and daughters into a much more dangerous situation than we see today. Unfortunately, we have been here before. The period after the end of the Cold War saw a drawdown at the State Department, with a budget slashed and the U.S. presence abroad significantly reduced. The United States must prepare for an uncertain future by innovating and supporting diplomacy. Times were calm and money was tight, and we ultimately were forced to play catch-up after the attacks on Sept. 11, 2001, forced the United States to engage with a wider range of partners and enemies. We called on an under-resourced Foreign Service to undertake new and expanded missions to ensure the security and prosperity of American citizens—including bureaucratic infighting. Long tours at hardship posts and a burst in hiring that disrupted the natural course of progression within the Foreign Service all strained our core diplomatic capability. While the current cuts to American diplomacy are not as extensive as what occurred two decades ago, the wise listen to history’s best lessons. We face new challenges today—from the looming threat of trade war that requires careful diplomacy and the prospect of dismantling Pyongyang’s nuclear capability, to hostile cyber activity that is below the threshold of all-out war. Any of these could escalate and necessitate a surge in diplomatic capability, as we needed on Sept. 12, 2001. The norms and institutions that govern our international world, carefully crafted and shaped over decades by members of the U.S. Foreign Service, are increasingly questioned by a rising China, a revisionist Russia and even some within the United States and allied nations. We also must be ready to confront the risks of cyberwarfare, as well as the benefits offered by economic engagement with dynamic regions like Southeast Asia or West Africa. To invest in American diplomacy now, it is critical we strengthen the Foreign Service and our nation’s frontline civilians. This includes sending officers back to the field, restarting the consistent pipeline of new A-100 classes, and expanding training and educational opportunities to maintain and improve skills in a changing world. New challenges and opportunities demand this reinvention. We must invest in greater technical skills and defend the core values and mission of the Foreign Service. We must also expand the State Department’s mandate and resources in a budgetary environment where other departments may be better resourced to address challenges for which State should be the lead. This is also an opportunity to imagine what kind of Foreign Service the United States needs to meet the challenges and opportunities ahead. If we are to assuage the parts of our country that are losing faith in diplomacy and American leadership abroad, we must strive to make sure they are included in American diplomacy by expanding diversity in the Foreign Service. The Foreign Service must reflect the growing diversity of our country. I support and have acted to expand programs like the Rangel and Pickering fellowships that bring under-represented minorities into our Foreign Service through a highly selective program. I also commend the State Department’s practice of placing diplomats-in-residence in different parts of our country. We must do more to recruit from these under-represented states, cities, universities and communities. Only by giving Americans from all walks of life a direct say and participation in our country’s engagement with the rest of the world can we build a durable constituency at home for diplomacy and American global leadership. The United States must prepare for an uncertain future by innovating and supporting diplomacy. The Foreign Service has strong allies in Congress who recognize the need for a professional diplomatic corps that puts country over partisanship or politics. Congress will also need allies in the administration, academia and other parts of civil society to make our diplomacy more inclusive, more representative and, ultimately, more effective. We must adapt to meet the challenges we face today. We will legislate when necessary, for example, to allow FSOs to terminate costly contracts they enter before their service or to account for the latest technology in embassy and consular security policies—such as the Protecting American Diplomats from Surveillance Through Consumer Devices Act (H.R. 4989) that I introduced with Rep. Michael T. McCaul (R-Texas) and which passed the House of Representatives this year. We all have a duty—Democrats and Republicans alike—to ensure that our government, and specifically our Foreign Service, represents the best of our nation abroad. Conversations such as these help us define exactly what kind of country we wish to be. 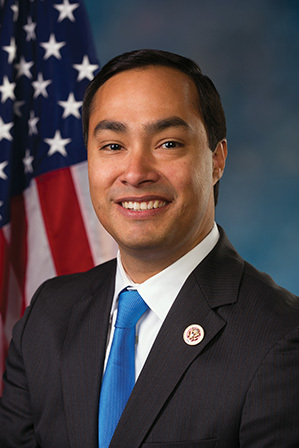 Joaquin Castro (D-Texas) represents Texas’ 20th district (San Antonio) in the U.S. House of Representatives. Serving his third term, Rep. Castro sits on the House Intelligence and Foreign Affairs Committees and is first vice chair of the Congressional Hispanic Caucus. Rep. Castro also serves as chief deputy whip and is a member of the Democratic Steering and Policy Committee. 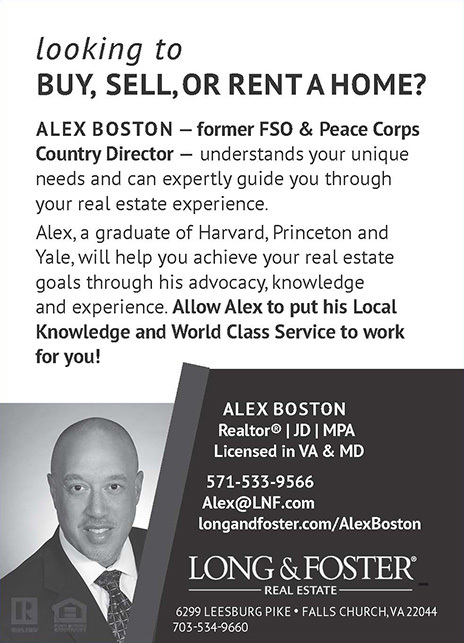 He is also founding co-chair of the Congressional Pre-K Caucus, the U.S.- Japan Caucus and the Congressional Caucus on ASEAN. Rep. Castro also hosts the foreign policy podcast Diplomatic Cable.